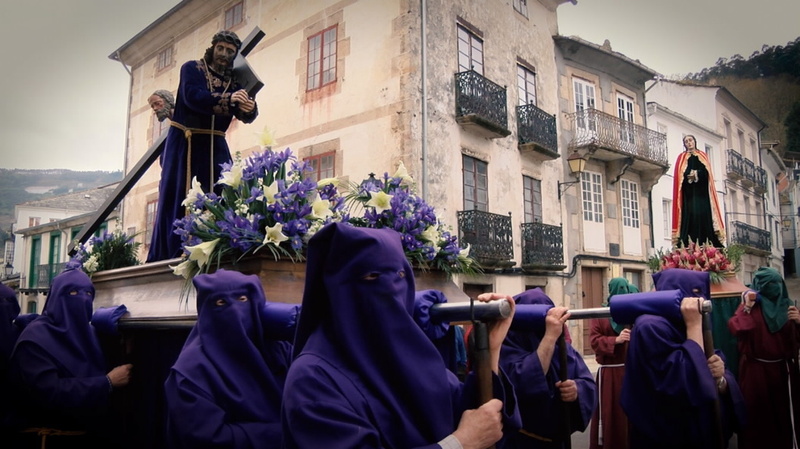 Holy Week traditions in Mondoñedo are steeped in history, dating back to before the 16th century, and are an example of simplicity and solemnity that reflect the deep sense of faith among the people that inhabit this area of Galicia. 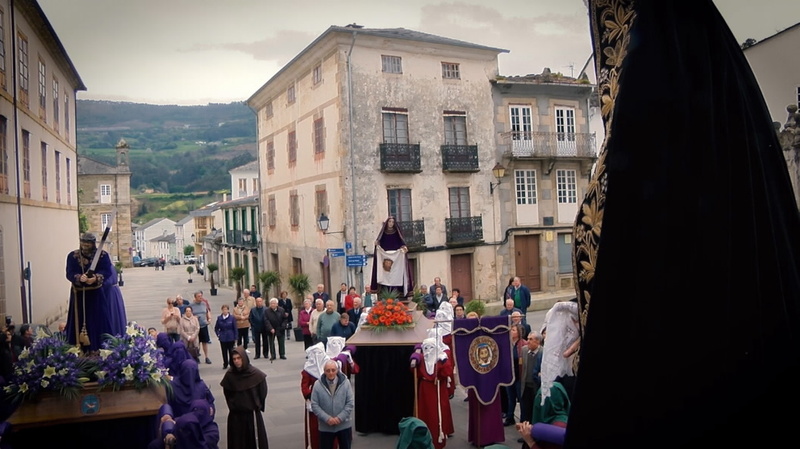 Holy Week in Mondoñedo is the epitome of sobriety and inner contemplation. The mass and procession held on Palm Sunday, the many other processions including the Ecce Homo, Arrest of Jesus, Eucharistic Adoration, the Holy Encounter, the Holy Burial or Solitude procession are the outward manifestations of a Holy Week that boasts many centuries of history. And at the centre of it all is Mondoñedo Cathedral, the central scenario for the both the liturgical celebrations and the processions. 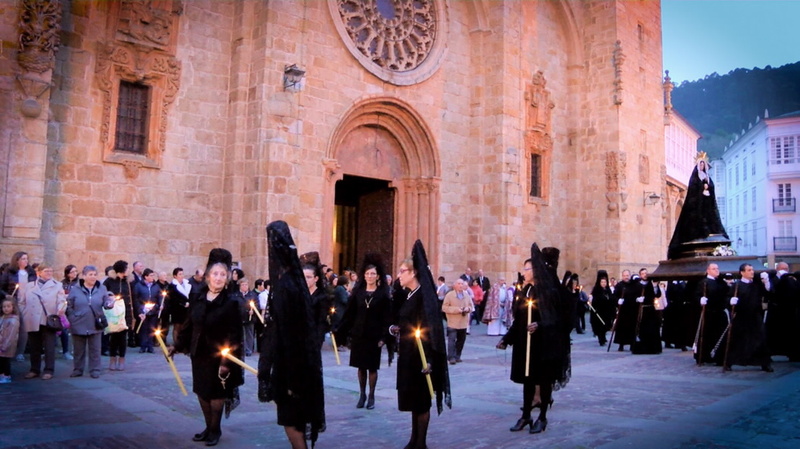 The Easter Triduum (the events held on Thursday, Friday and Saturday) are celebrated in the presence of the Bishop of the Diocese and the cathedral is the starting and finishing point for classic processions include the Holy Burial or Solitude, held on Good Friday. Holy Week in Mondoñedo, which gets underway on Palm Sunday and ends at nightfall on Saturday with the celebration of Easter, is a mix of tradition, history and inner contemplation, set against the matchless backdrop of the maze of narrow streets that comprise the town’s historic quarter, presided over by the Cathedral Basilica of La Asunción. The Procession of Solitude, (Friday). 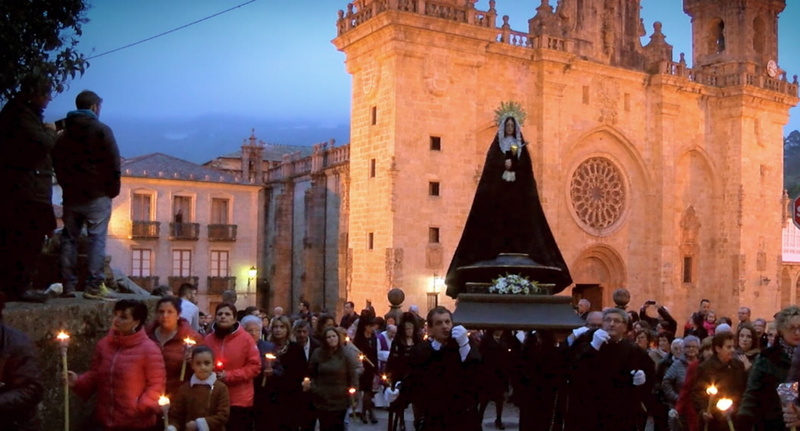 A candlelit procession that accompanies the figure of the Virgin Mary and which includes a rendering of ‘El Plorans’ (composed by Master Pacheco), which can only be sung in Mondoñedo or Madrid’s Royal Chapel.